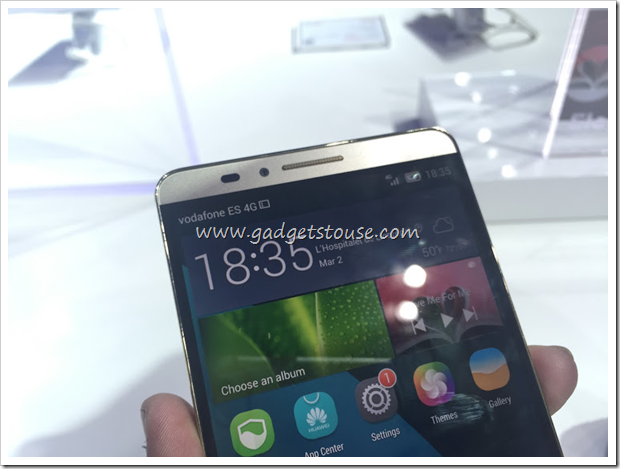 We got a chance to have a Hands-On experience with the Huawei Ascend Mate 7 at MWC 2015. The large device looks plush and it seems like it is made to compete with big phones such as the iPhone 6 Plus and Samsung Galaxy S6. 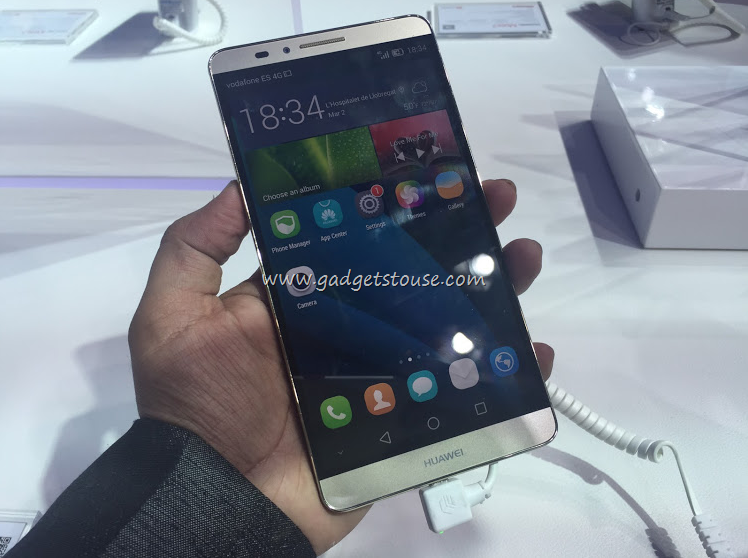 The Huawei Ascend Mate 7 seems on the path traversing from the phablet category to the tablet category at 6 full inches of display goodness. The device seems like Huawei’s premium offering and looks and feels good at the first instance. Other interesting specs include a 13-megapixel rear snapper, a 5-megapixel front cam and a 1.8-GHz HiSilicon Kirin 925 CPU under the hood. 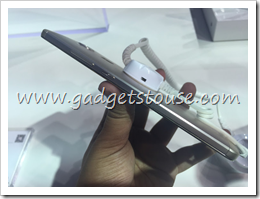 The Huawei Ascend Mate 7 is one huge device. The 6-inch display will make it impossible to use with one hand unless you happen to be an ape. 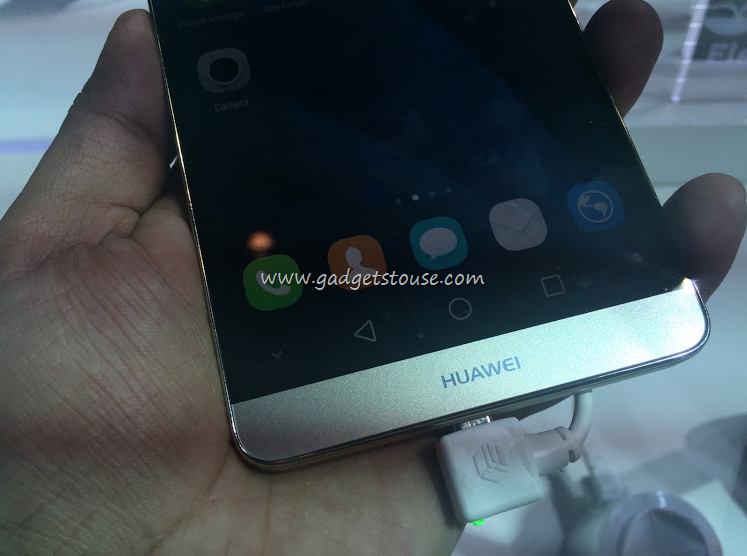 But, to Huawei’s credit, the company hasn’t wasted the screen real estate, since the bezels are as thin as can be. Most of the front s utilized by the display, which is a good thing. The whole feel of the form factor is nothing less than premium. 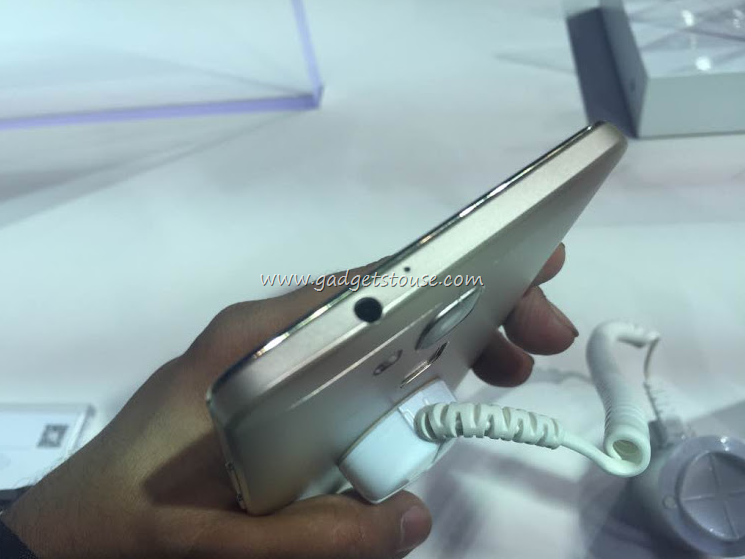 The shell is carved out of a matte metal, the back is curved and a fingerprint sensor accompanies the camera at the back. 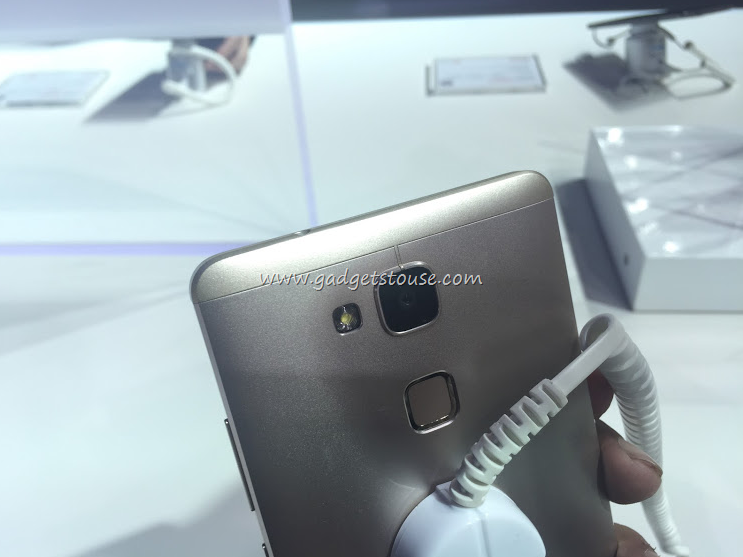 But, you can’t feel Huawei’s design ingenuity unless you have the device in your hand. Running our fingers across the texture of the device was a pleasure. The display too behaved like a good boy. It lit up well, had good viewing angles and good color balance. 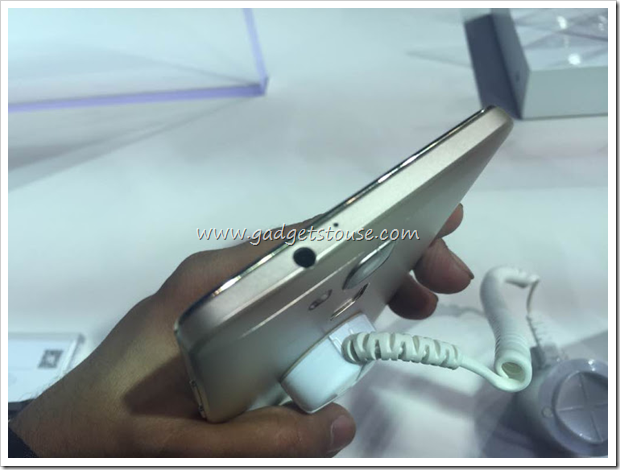 Overall, this device gets an A in the design department on the first look. 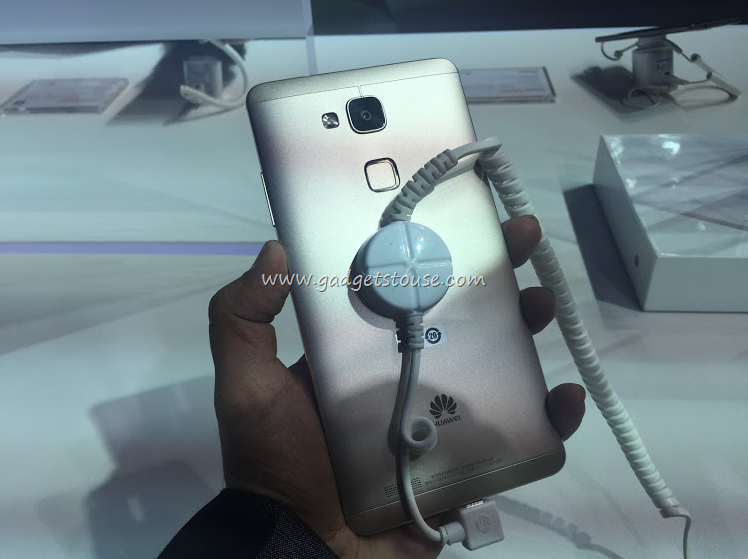 The Huawei Ascend Mate 7 runs on an octa core processor made up of two quad-core units. Its HiSilicon Kirin SoC 925 comprises of Quad-core 1.8-GHz Cortex A15 and Quad-core 1.3-GHz Cortex A7 units. The less powerful unit will perform basic task, while heavy usage can be entrusted to the more powerful unit. 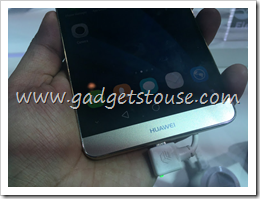 The Huawei Ascend Mate 7 comes in two versions, a 16 GB one and a 32 GB one. Both vary in the amount of RAM also – the 16 GB one has 2 GB RAM, while the 32 GB one has 3 GB RAM. We had the 32 GB version at hand and it performed smoothly in our short experience with it. The RAM on the device runs EMUI 3.0 on the device with ease. The 5 MP front camera is good when it comes to clarity, details and color reproduction even in low light conditions. The front cam takes some time to focus, but it too puts up a good performance. As far as the internal storage goes, this device has 16/32 GB options available. Out of the 32 GB on our device, 29 GB was available to the user. Expandable storage on this device is 128 GB, which should be an added advantage in that respect. 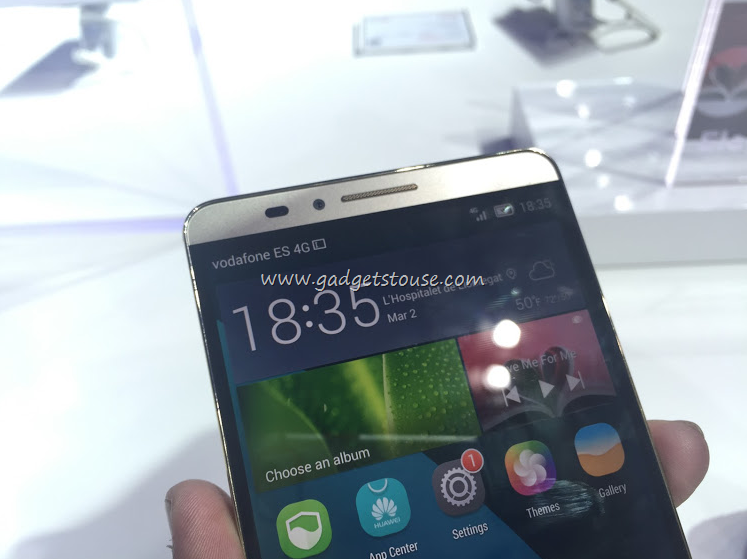 The Huawei Ascend Mate 7 comes with Android 4.4.2 on board. The Android is smooth on this one, but we would have been happier off with Android Lollipop. 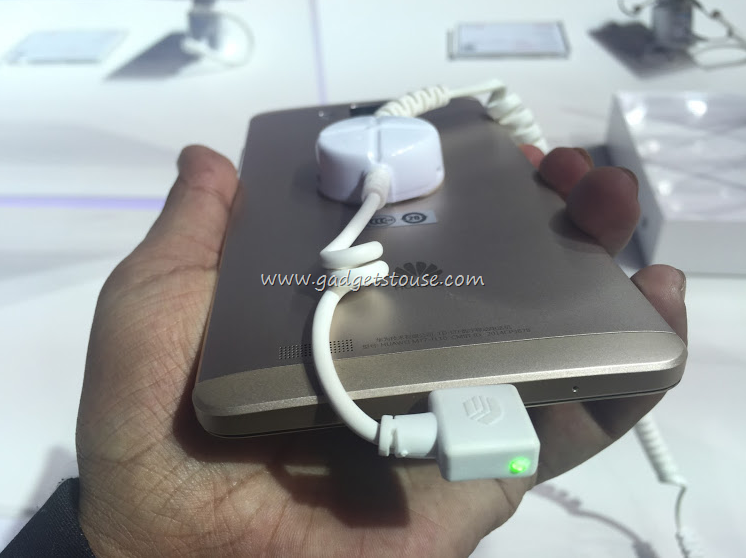 We hope that when the device comes to India, it will ship with Android Lollipop. 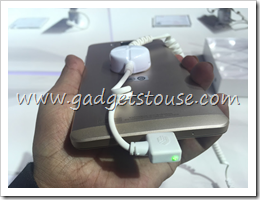 Under the hood, this device comes with a massive 4100 mAh battery, which is non-removable. The battery should be able to last pretty long. The Huawei Ascend Mate 7 comes in both 3G and 4G versions and has one other cherry on the cake – the Fingerprint Sensor. The Fingerprint sensor on the Huawei Ascend Mate 7 is positioned right below the camera, which is the natural position for your finger. The sensor accurately recognizes your finger. The sensor can be used to wake up the phone from standby, take photos and authenticate PayPal payments. 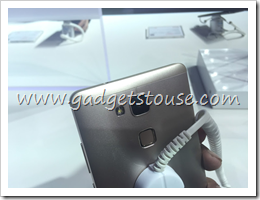 The Huawei Ascend Mate 7 is definitely an exciting device to come across. It has a sharp display, a powerful processor inside, a huge battery and a well-performing camera. What’s not to like? The only concern with this device is its size, since not many companies have been successful with that size of phones, no matter how good. 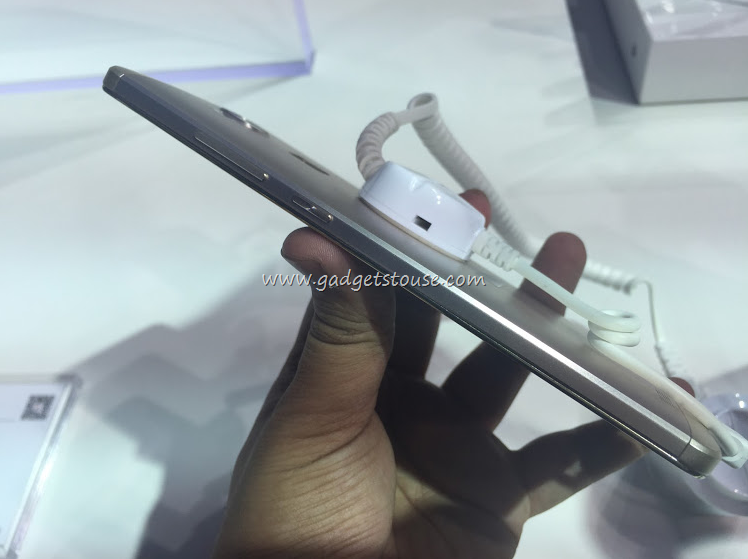 The device made its debut in September last year, but we were only able have some with it at MWC 2015. We hope it comes to India soon. If it does, with an international price of around $800, it is expected to debut above 40 grand.